At the July 21 Administration Committee Meeting, the Village Board gave direction to move ahead with the development of a Westmont-Taiwanese Sister City program with the intention of selecting a Sister City within the next year. Mayor Gunter was recently selected as the only Mayor from the Midwest to be invited to Taiwan as a guest of TECO-Chicago (Taipai Economic & Cultural Office). While on the trip, Mayor Gunter will meet with representatives of various Taiwanese communities to discuss the goal of creating a sister city program in the near future. “We are planning to meet with Mayor Gunter during his trip to Taiwan,” said Angela Yang, who is an active member of the Taiwanese community here in the Chicagoland area. “We plan to meet with elected officials, Taiwanese business leaders, and representatives of international service organizations such as our International Lions Club.” Yang is serving as the chair of the Westmont-Taiwanese Sister City Program. 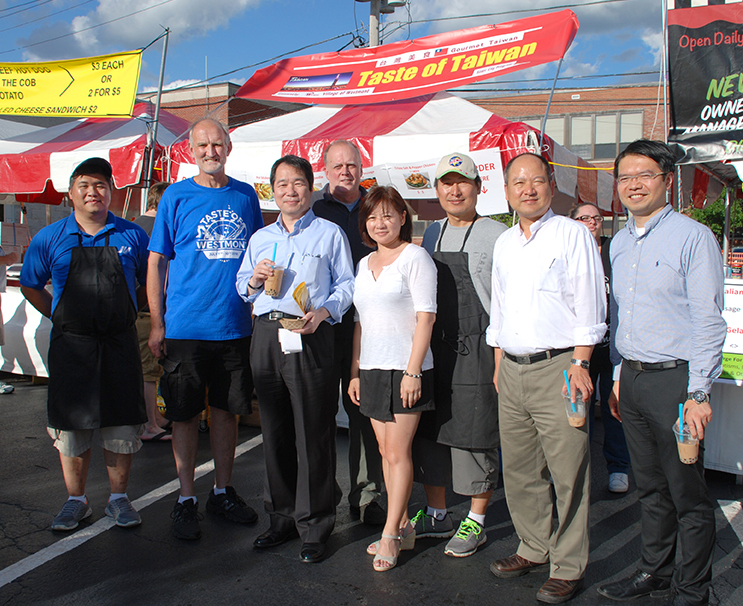 Yang and a number of volunteers also made a Taiwanese cuisine debut at this year’s Taste of Westmont. There were two Taiwanese food-related booths at the event. Yang remarked that she received a number of compliments, not only in regard to the food offerings, but also in regard to the Sister City Program. Look for more Sister City updates in the near future. For more information, contact the Village at Communications@westmont.il.gov or 630-417-0280.